Metabolic Nutrition Synedrex Review – Is it safe? Synedrex is a fat burning supplement developed by Metabolic Nutrition that claims to fast track fat burning by combining thermogenic compounds with nootropic ingredients. According to Metabolic Nutrition, due to the potency of Synedrex, it’s best to gauge the users’ tolerance by using it without in conjunction with another supplement. It may appear that this may be a classic marketing move to warn the customers so much, that it gains attention and a certain level of credibility. More users are more concerned with the effectiveness of a product that warnings about side effects are merely taken as suggestions. Do these effects come with a hefty price? Is Synedrex safe? We took a closer look at Synedrex to find out. 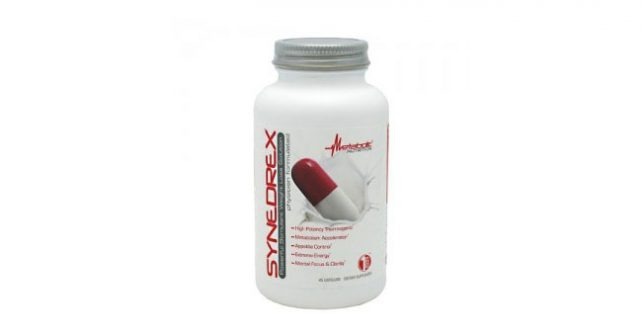 Synedrex is prepared in soft-gel capsules which are easily digested and absorbed by the body. For this reason, effects can be expected quite quickly. As quick as its effects come, so do the side effects. Synedrex has one of the most critical reviews I’ve come across with on a review aggregator website. There are hordes of people who have complained about the side effects of Synedrex. Users of Synedrex have reported chest pains, palpitations, jitters, and anxiety among others. It’s not like there’s just a few people complaining, there are more than a hundred people who took the time to go online, log in, and type in every excruciating detail of their experience with Synedrex. In one situation, a customer reportedly had blood on his stool. Upon checking with the doctors, they found out that Synedrex irritated the bowel linings, so much that it caused his insides to bleed. Many users have offered their advice for people to listen to their bodies and discontinue the use of Synedrex if they feel that their health is at risk. An important ingredient on this list is Methylpentane Citrate, which is otherwise known as 1,3-DimethylButylamine citrate, AMP Citrate or DMBA. In some circles, this is considered to be the “new DMAA”, which makes sense since the original formulation for Synedrex contained DMAA. DMBA is a stimulant much like DMAA, which carries the risk of seizures, heart attacks, and neurological problems. There’s no question that Synedrex could live up to its promise, but at what cost? The risk factors it carries wouldn’t justify the reward. There are literally hundreds of supplements that can help you lose weight, and quite a number too that would help you lose weight naturally. If you want to lose weight safely, the natural way, check out Garcinia Cambogia (Garcinia X). I’m sure you have heard of it already, and now would be the best time to check out what the buzz is all about.